to curb water pollution and to provide clean drinking water for all. This year's theme is "Leaving No One Behind"
will be observed on Saturday March 30th. Turn off your lights from 8:30 PM to 9:30 PM local time. 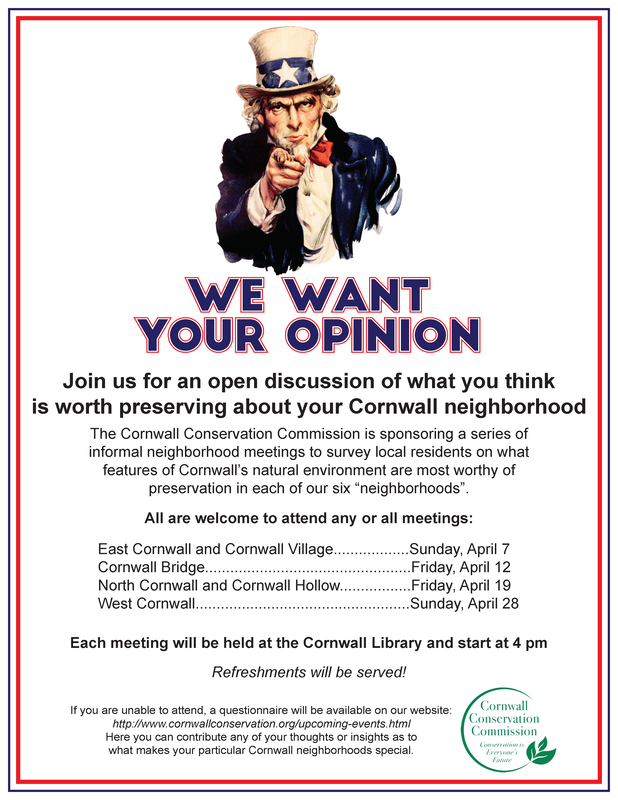 to solicit input for Cornwall's update of its Natural Resource Inventory. Each meeting will focus on a particular neighborhood (or two). please feel free to attend one of the others. The more input we receive, the better our final product will be. So please join us in April! The theme for last year (2018) was to "End Plastic Pollution".